Step 5: It shows that the selected update was downloaded and installed. 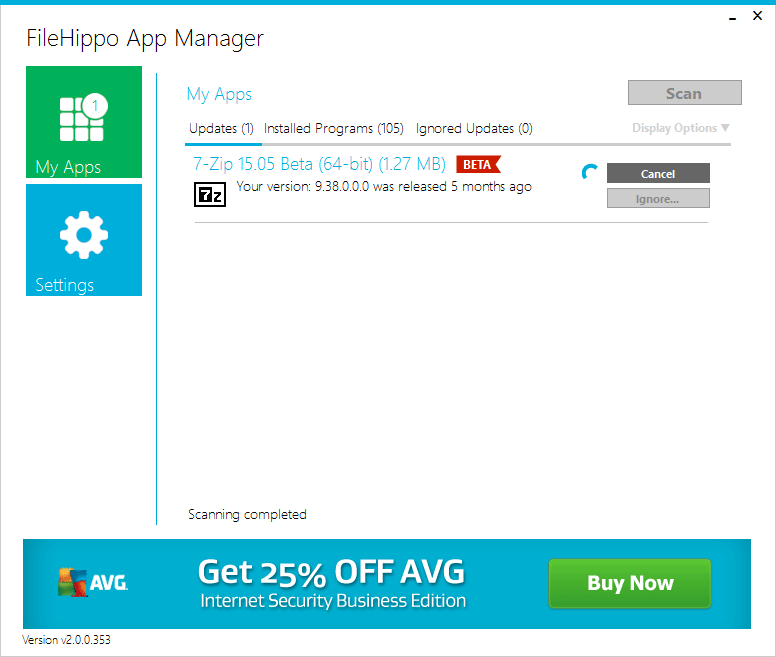 Step 6: Click on Installed Program tab to view all installed programs details. 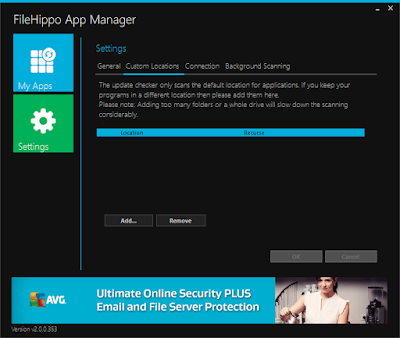 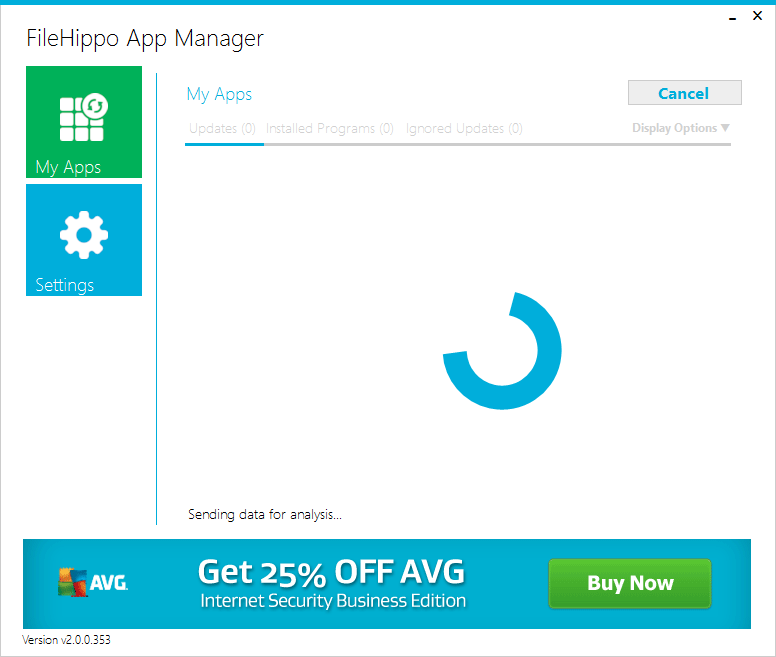 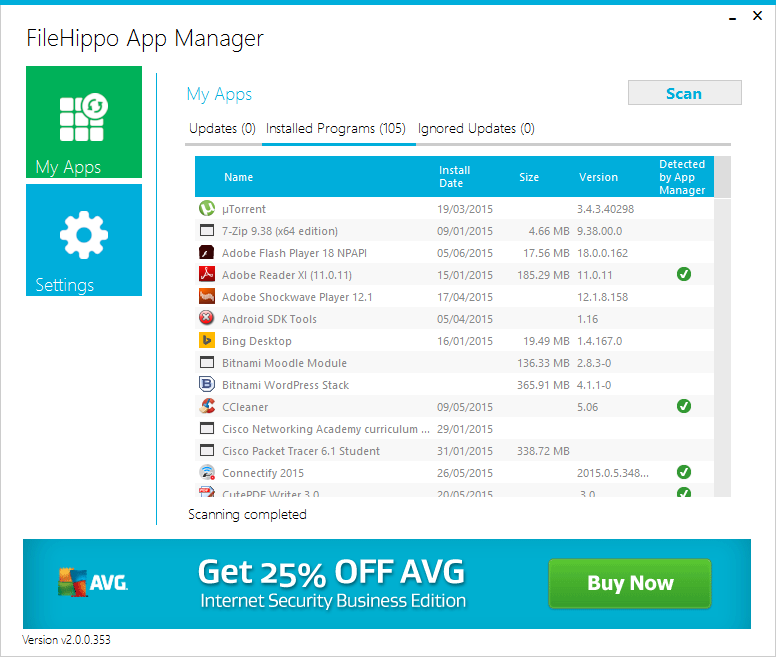 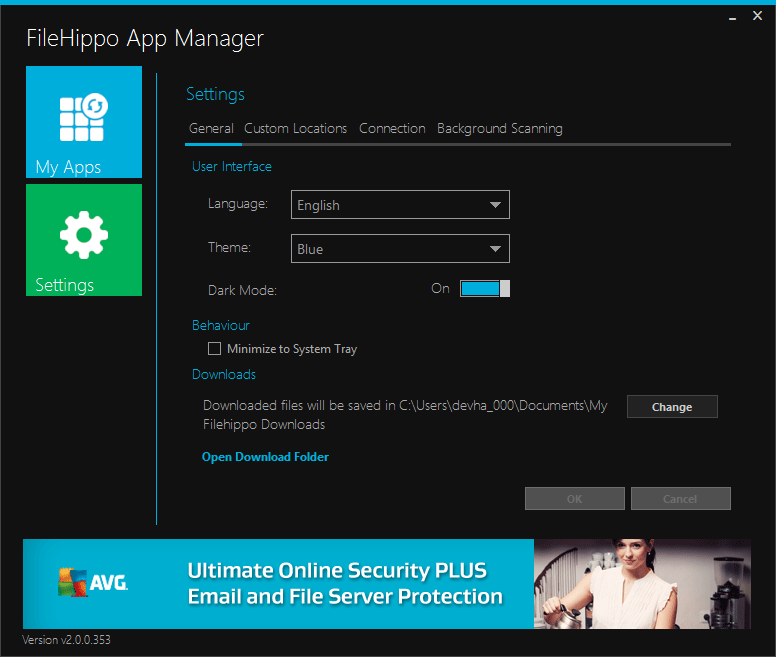 Note that FileHippo App Manager will not show updates for all (system softwares) of the installed programs. 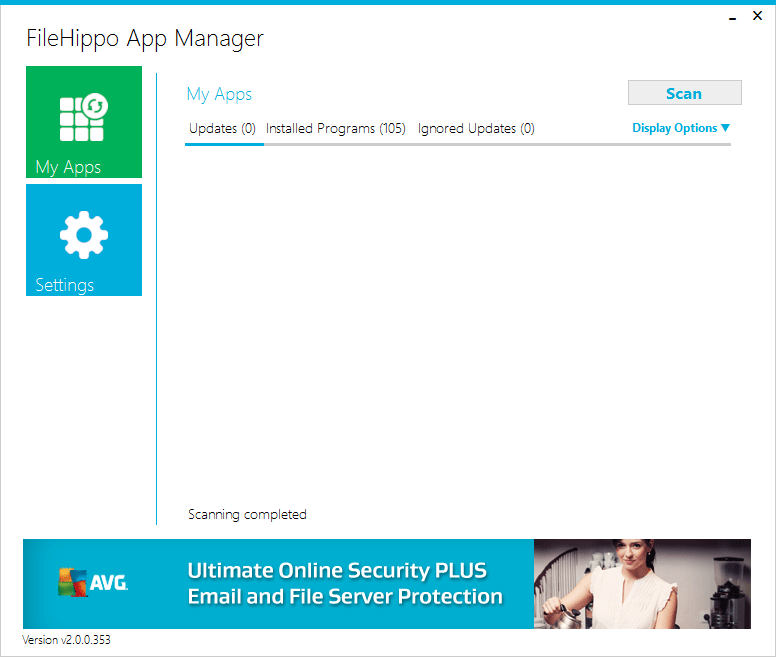 Step 7: You can view the ignored updates as well. Step 8: Click on settings button to change the configurations. Step 9: I have changed here user interface to dark mode. 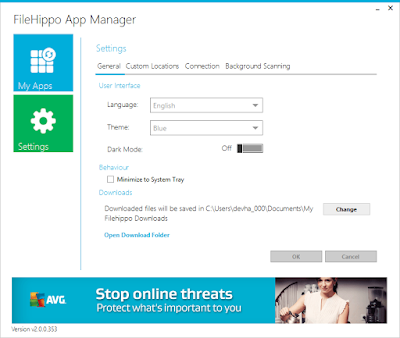 Step 10: You can change where the downloaded filed will be stored from custom locations tab. Step 11: Modify proxy settings from connection tab. Step 12: You can also change background scanning options.